Fiber Optics in Residential Bar/Kitchen Space, by JM Lifestyles, Randolph, N.J. 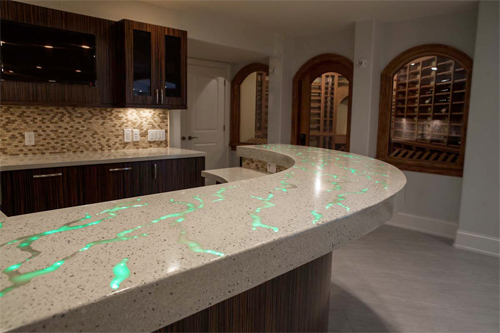 This home entertainment area features a concrete countertop with glowing optics in the top that change colors. Wood-Finish Concrete Counter, Pennsylvania, by JM Lifestyles, Randolph, N.J. 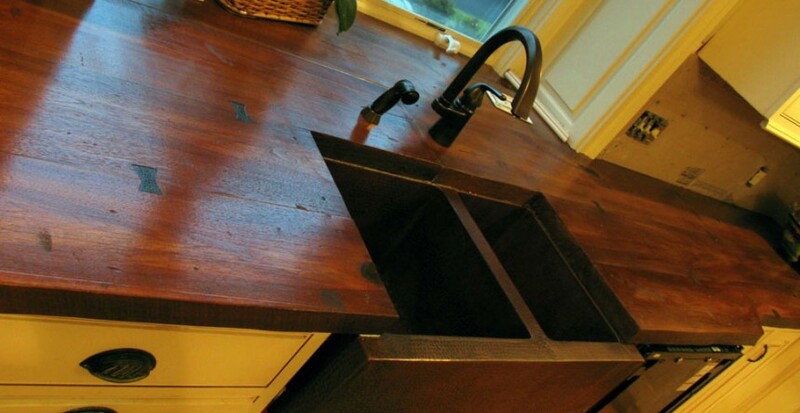 This wood-finish kitchen countertop in a Pennsylvania farmhouse won at the 2010 CHENG Concrete Exchange Design Challenge.